This project is a 4,557 square foot retail building that is ideally located with a 208,617 square foot Community Shopping Center anchored by a 183,917 square foot Super Wal-Mart. Location: SWC Rhonda Rd. and Pleasant Valley Rd. Store Specifications: Interior improvements include heating, air conditioning, acoustical tile ceiling with recessed lighting, fixturized handicapped restroom, cement slab floor, finished unpainted walls, electrical outlets, glass store front and doors. Retail shop space is forty (40) feet deep. Comments: The Anderson Market Place provides a fabulous opportunity to serve the rapidly growing customer base in the greater Anderson area and South Shasta County. It is ideally located at I-5 and Highway 273 across from the Outlet Factory which will provide a great destination retail area serving the surrounding counties, local residents and thousands of vacationers who travel through the area throughout the year. A 63,000 square foot neighborhood shopping center anchored by a 48,000 square foot Raley's with three freestanding retail pad spaces. Full Description: A 63,000 square foot neighborhood shopping center anchored by a 48,000 square foot Raley's with three freestanding retail pad spaces. Full Description: A 208,617 square foot Community Shopping Center anchored by a 183,917 square foot Super Wal-Mart Department Store with a 10,500 square foot retail shops building and available pads. Store Specifications: Interior improvements include heating, air conditioning, acoustical tile ceiling with recessed lighting, fixturized handicapped restroom, cement slab floor, finished unpainted walls, electrical outlets, glass store front and doors. Retail shop space is fifty (50) feet deep. 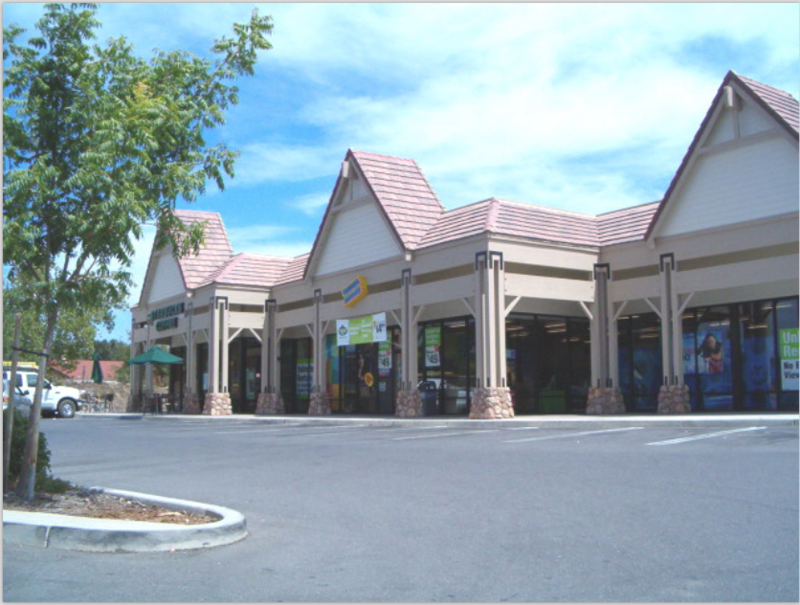 The Shopping Center is ideally located to serve the rapidly growing high income trade area of South Reno. Full Description: The Shopping Center is ideally located to serve the rapidly growing high income trade area of South Reno. The location is particularly strong due to the excellent access provided by the full freeway interchange and location on the major intersection of South Virginia and Neil Road, coupled with the planned and existing residential growth surrounding the center. Store Specifications: Interior improvements include heating, air conditioning, acoustical tile ceiling with lighting, electrical outlets, glass store front and doors, rear door, bathroom which is to code, and walls ready for paint. Comments: COMP USA Center is anchored by a 31,000 square foot COMP USA Computer Store. Bishop is a major tourist destination for skiing, hiking, fishing, mountain climbing and backpacking which attract over a million visitors annually. Full Description: Cottonwood Plaza is a two story retail shopping center consisting of 46,564 SF of retail/restaurant and office space. The downstairs building area consists of 23,193 SF. The upstairs building area consists of 19,828 SF. 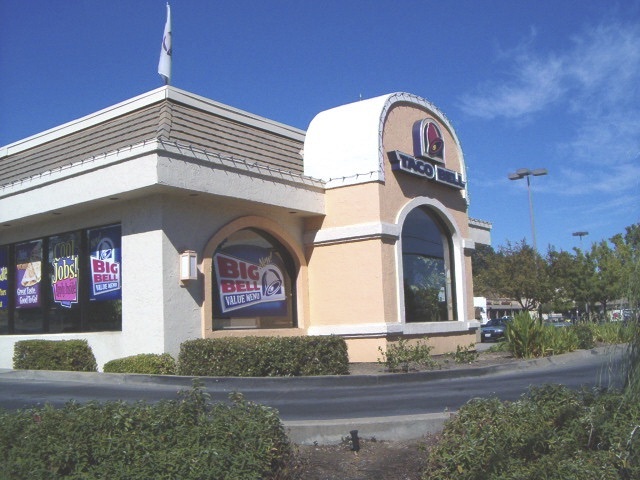 A 3,543 SF fast food restaurant with drive thru is available. Comments: Bishop is located in Inyo County near the northern portion of the Owens Valley. Bishop services over 17,625 people within the trade area. This site is located at a signalized intersection on Highway 395 which is the major thoroughfare for all travelers that visit Bishop and Mammoth Lakes. Bishop is a major tourist destination for skiing, hiking, fishing, mountain climbing and backpacking which attract over a million visitors annually. Only 1.7% of the property owned in Inyo County is privately held. 98.3 % of the remaining property is owned either by the State, Federal Government and the City of Los Angeles Water District. The barriers to entry in this market make it a unique opportunity for any retailer. The City of Madera has an estimated population of 80,000 residents. 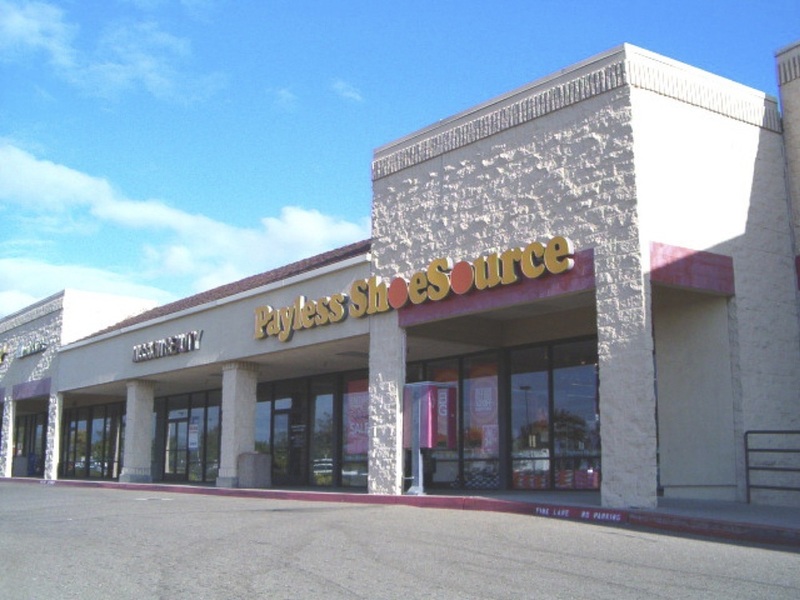 Location: SWC of Tozer Street & E. Yosemite Ave.
Full Description: This site is located within the new 150,000 square foot Crossroads Shopping Center which is anchored by Longs/CVS Pharmacy and a 55,000 square foot San Miguel Market. Other notable tenants include McDonald's, Starbucks and Little Caesars Pizza. Store Specifications: Completed and opened in September 2008, a 15,789 square foot CVS Pharmacy. Comments: Madera, in Madera County, is located in the Central Valley, approximately 18 miles northwest of Fresno along Highway 99. The City of Madera has an estimated population of 80,000 existing residents. Full Description: The Shopping Center is ideally located to serve the rapidly growing high income trade area of South Reno. The location is particularly strong due to the excellent access provided by the full freeway interchange and location on the major intersection of South Virginia Street and Neil Road, coupled with the planned and existing residential growth surrounding the center. Store Specifications: Interior improvements include heating, air conditioning, acoustical tile ceiling with lighting, electrical outlets, glass store front and doors, rear door, bathroom which is to code, and walls ready for paint. Comments: Del Monte Plaza is a 201,000 square foot shopping center anchored by Shopko, a Macy's Home Store and Office Max. Other tenants include Sally's Beauty Supply, Help-U-Mail, New Balance/Team Sports, Blockbuster and Pizza Hut. The retail shop spaces ranges in size from 900 square feet to 10,550 square feet. 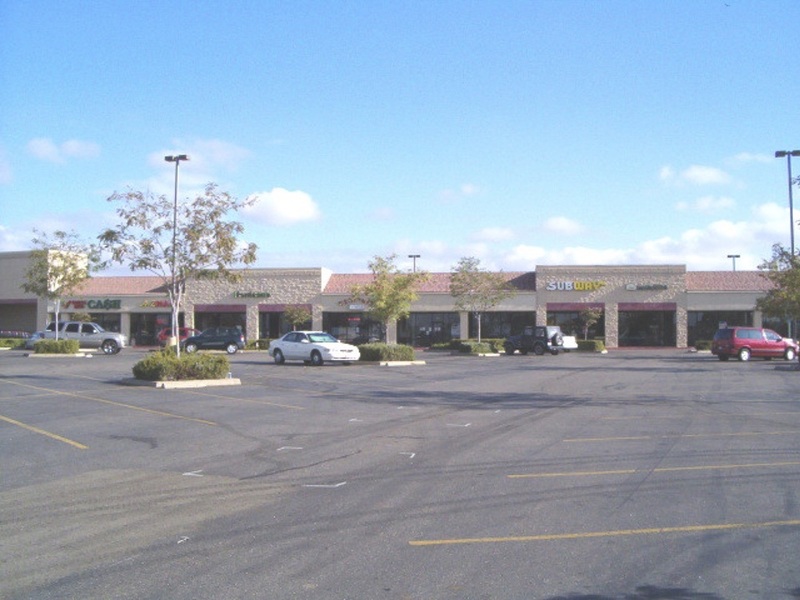 Full Description: A 74,529 square foot Neighborhood Shopping Center anchored by a 62,625 square foot Raley's Market, 5,040 square feet of retail shops (adjacent to Raley's) and a 6,864 retail pad with Highway 49 frontage and located at the main entrance into the center. Comments: This retail building was constructed in 2007 and is well located along Jackson’s main retail corridor. The steady flow of over 28,000 cars per day by the property creates an opportunity to expose and expand any business. 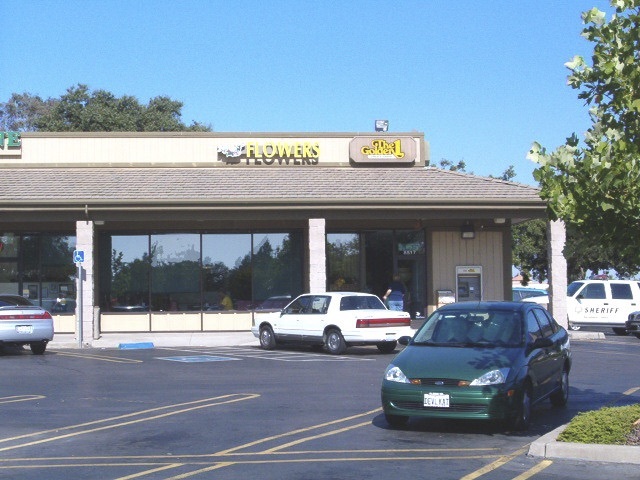 The constant daily automobile and foot traffic (10,600 daily customer count) at the Raley’s store insures that your business will be seen every day by thousands of Raleys’ customers as well as visitors to the area. 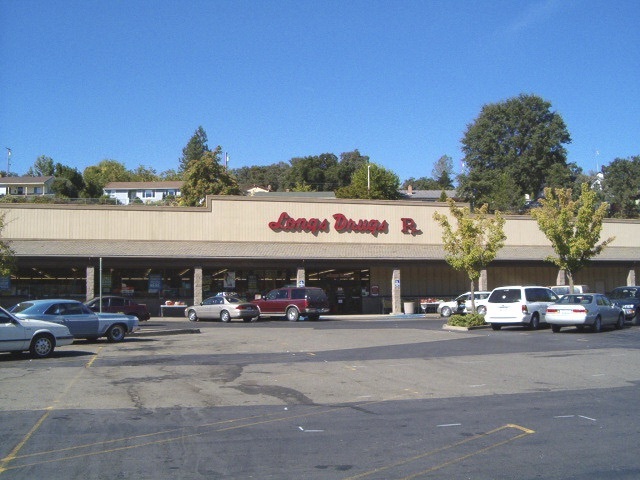 The Jackson trade area has attracted many national retailers including Raley's, Safeway, Lowe's, Staples, Petco, CVS, Walgreen's, Wal-Mart, Save-Mart, and K-Mart; making it the shopping destination for all of Amador County. A 120,000 square foot Shopping Center anchored by a Safeway superstore, with approximately 30,000 square feet of ancillary shops and pads. Store Specifications: Improvements include heating, air conditioning, acoustical tile ceiling with lighting, fixturized restroom, concrete slab floor; finished unpainted walls, electrical outlets, glass store front and doors. Retail shop space is sixty (60) feet deep. Comments: The East Avenue Market Place is ideally located to serve the growing consumer trade area of North Chico. The 53,000 square foot Safeway (formerly at East and Cohasset) is an excellent draw to the shopping center. The planned and existing residential growth around the site is the fastest in Chico, and coupled with the easy access, the East Avenue Market Place fulfills a strong consumer demand in an untapped market. Full Description: A 43,145 square foot Shopping Center anchored by a 22,965 square foot Long's Drug Store with a 10,200 square foot retail shops building. Store Specifications: Improvements include heating, air conditioning, acoustical tile ceiling with lighting, fixturized restroom, concrete slab floor, finished unpainted walls, electrical outlets, glass store front and doors. Retail shop space is sixty (60) feet deep. Frog Jump Plaza Shopping Center is designed to serve the needs of the local residents plus the thousands of vacationers who come through the area throughout the year. Highway 4 is the primary road leading up to the Bear Valley Ski Resort and is ideally located on Highway 49 with excellent ingress and egress. 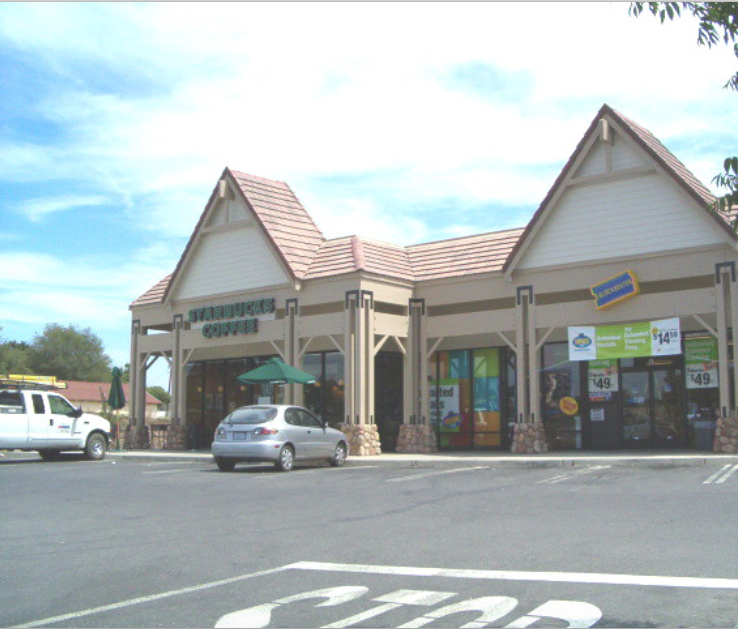 In addition to Long's, Blockbuster and Starbucks provide an excellent customer draw for this trade area. Also, in Phase 2 of Frog Jump Plaza there will be a proposed Discount Department Store consisting of 129,885 s.f and a proposed Market consisting of 66,603 s.f. There will also be 2 pads, one being 4,300 s.f buildable and the second consisting of 3,600 s.f. buildable. 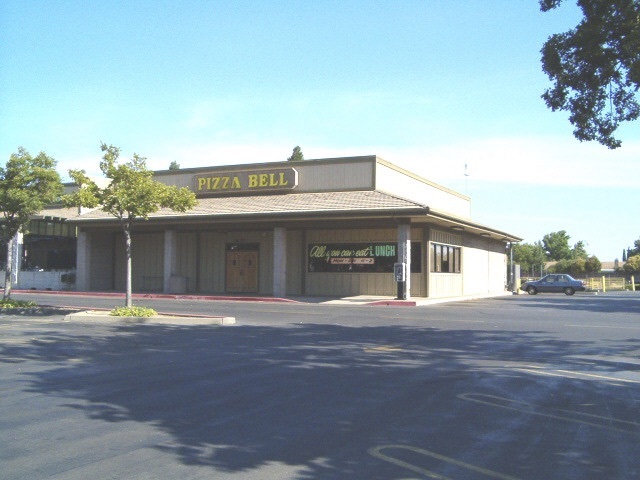 Elk Grove is a rapidly developing, higher income community. Location: NEC of HIghway 99 and Elk Grove Blvd. Full Description: A 100,000 square foot neighborhood shopping center which is anchored by a 27,835 square foot Long's Drug Store with retail shops ranging in size from 720 square feet to 3,000 square feet. 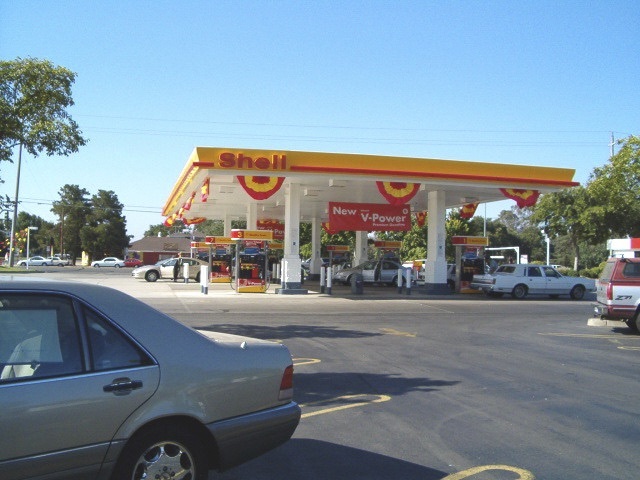 Pad tenants include Shell Gas Station, KFC and Speedy Oil Change and Tune-up. 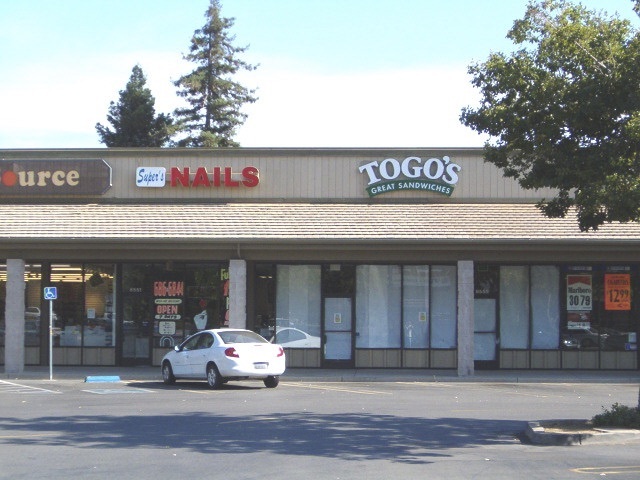 Comments: This shopping center is located in the heart of Elk Grove at the intersection of the two major arterials (Highway 99 and Elk Grove Boulevard) servicing the trade area. The anchor tenant (Long's) create a significant draw for the retail shops. 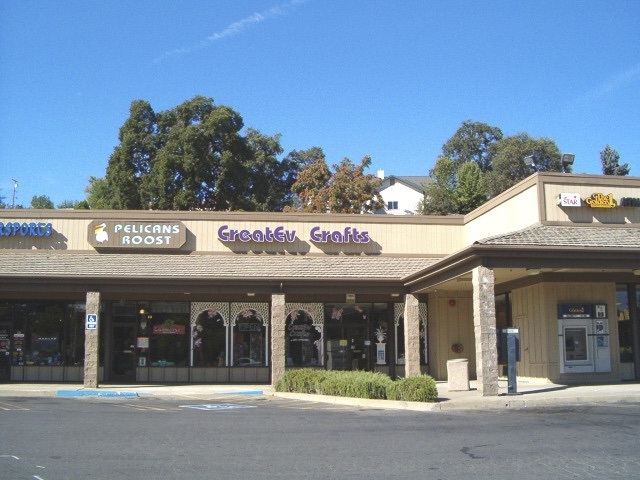 Elk Grove is a rapidly developing, higher income community. 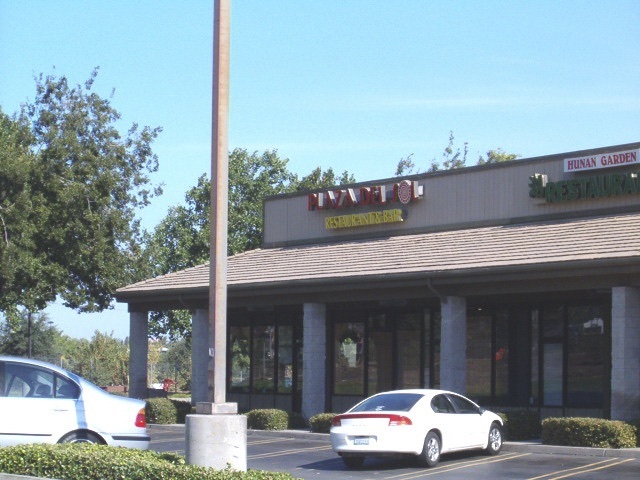 This shopping center has enjoyed many years of great success in Elk Grove. 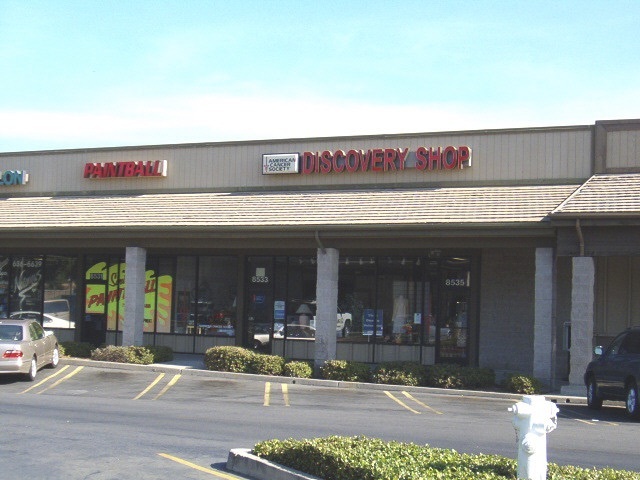 Jackson Creek Shopping Center is ideally located on Highway 49 with excellent ingress and egress. Full Description: A 96,000 square foot neighborhood shopping center anchored by a 25,478 square foot Long's Drug Store and two other anchors coming in the summer of 2004. Store Specifications: Improvements include heating, air conditioning, acoustical tile ceiling with lighting, fixturized restroom, concrete slab floor, finished unpainted walls, electrical outlets, glass store front and doors. retail shop space is forty (40) or sixty (60) feet deep ranging in size from 800 square feet to 3,000 square feet. 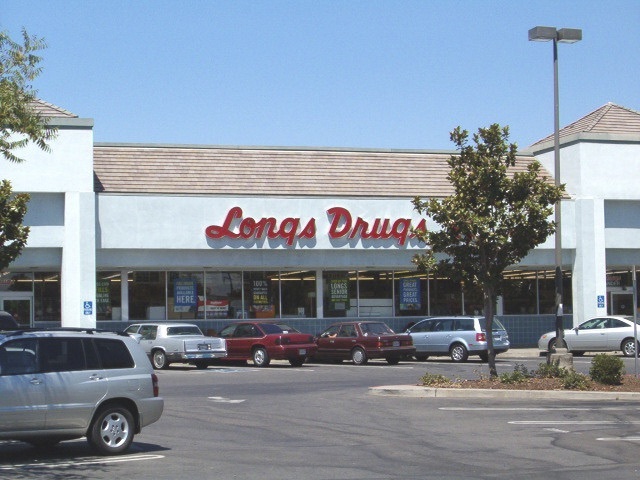 Comments: This shopping center is the only drugstore anchored shopping center within the city limits of Jackson and, as a result, Long's Drug Store provides an excellent customer draw for the center. Jackson Creek Shopping Center is ideally located on Highway 49 with excellent ingress and egress. 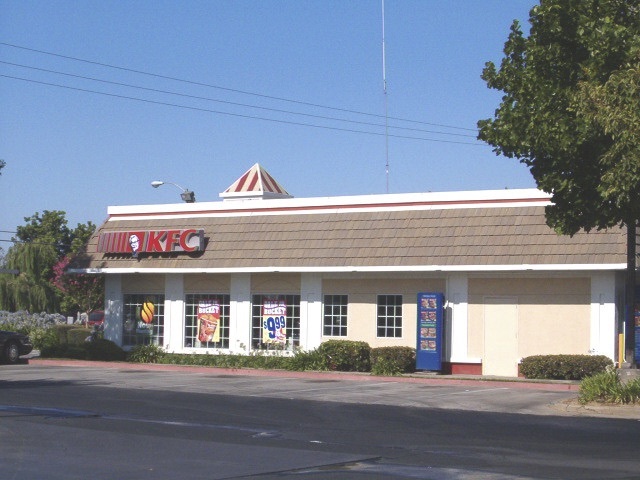 Taco Bell, Kentucky Fried Chicken and Kragen Auto Parts have contributed to this center's strong history of performance. Long's long standing operations at the Kihei Shopping Center has been a traffic generator for the shops at the Kihei Shopping Center. Kihei Shopping Center is a Longs anchored neighborhood shopping center at the intersection of Kihei Road and Piikea. The intersection is indisputably the "main and main" of Kihei. With a 5 mile population in excess of 27,000, the shops have unobstructed views from both main arterial streets. There are very limited commercial opportunities in downtown Lincoln making this site very attractive to any retail tenant. Full Description: The site consists of 41,851 square feet of existing retail commercial space. This site has excellent exposure to Highway 65 located between 2nd and 3rd street. There are very limited commercial opportunities in downtown Lincoln making this site very attractive to any retail tenant. Comments: Located on the SEC of Highway 65 and 3rd street this site presents a retailer with a great opportunity to locate immediately at one of the major intersections in Lincoln. This site is at a fully signalized intersection with high traffic volumes in excess of 42,300 cars daily. Safeway,Rite Aid,Lowe's,Home Depot and Raley's are many of the national retailers that are within close proximity of this center. With access to the site being provided by such major routes as Highway 99 and Highway 165, this center is strategically located to capture this trade area plus the surrounding towns of Delhi, Hillmar, Livingston, Newman and Patterson. 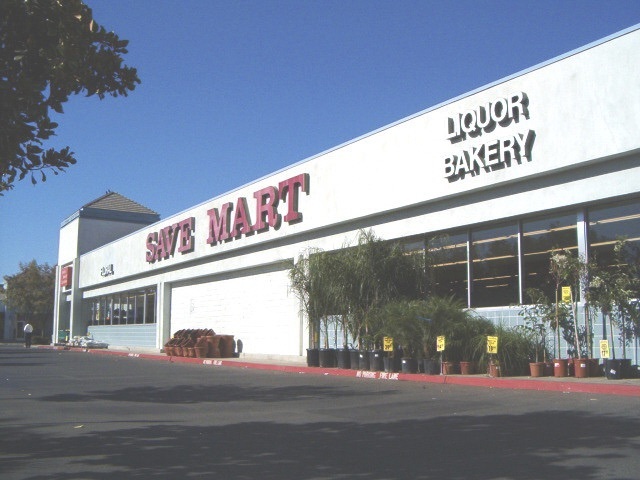 Full Description: A 100,000 square foot neighborhood Shopping Center anchored by a Save Mart Super Grocery Store and Long's Drug Store. 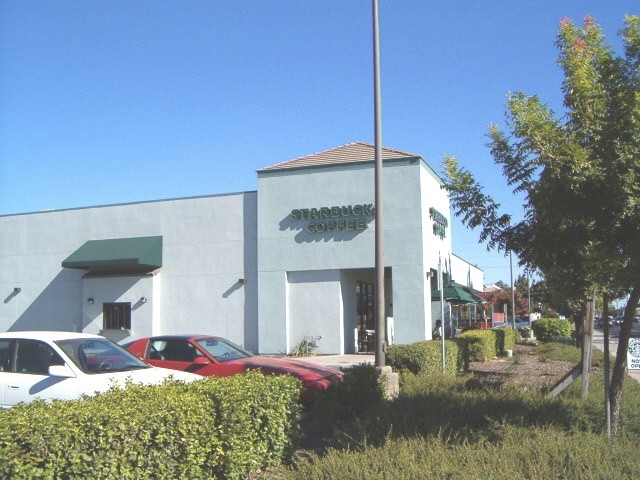 Pad tenants include Kragen Auto Parts and Starbucks Coffee. The retail shops range in size from 660 square feet to 3,125 square feet. Store Specifications: Interior improvements include heating, air conditioning, acoustical tile ceiling with lighting, electrical outlets, glass store front and doors, rear door, bathroom which is to code, and walls ready for paint. 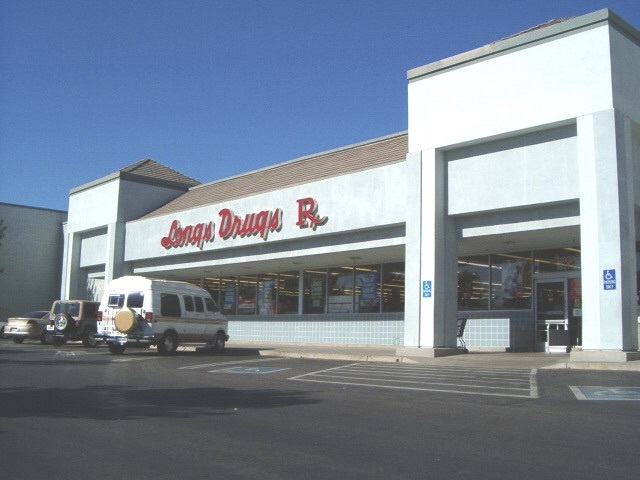 Comments: The Lander Market Place is the only quality supermarket and drug store in the entire southern Turlock Trade area. 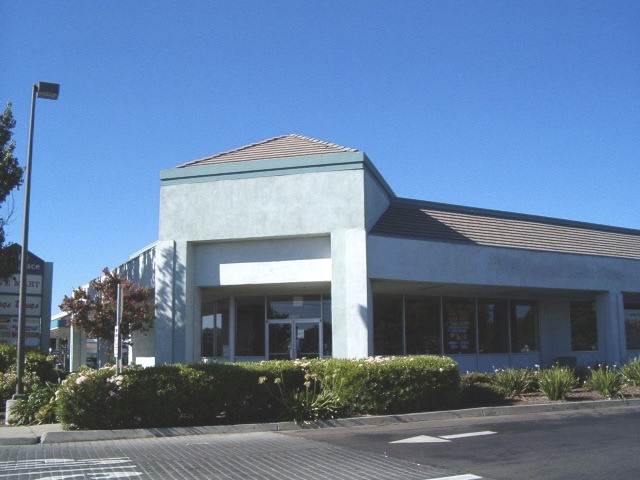 With access to the site being provided by such major routes as Highway 99 and Highway 165, this center is strategically located to capture this trade area plus the surrounding towns of Delhi, Hillmar, Livingston, Newman and Patterson. Anchor Tenant's Save Mark Supermarket and Long's Drug Stores have proved the retail viability of this site. Raley's Union Square is ideally located to capture the North Manteca trade area plus the community of Lathrop. Location: SWC of W. Lathrop Rd. and N. Union Rd. 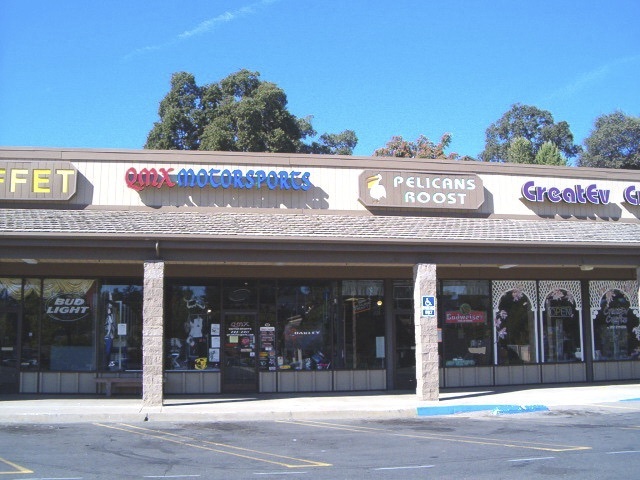 Full Description: This property is a 5,000 square foot retail shop building located within a 100,000 square foot neighborhood shopping center anchored by a 60,849 square foot Raley's Superstore. Pad tenants include Kragen Auto Parts. Store Specifications: Interior improvements include heating, air conditioning, acoustical tile ceiling with recessed lighting, fixturized restrooms, cement slab floor, finished unpainted walls, electrical outlets, glass store front and doors. Retail shop space is sixty (60) deep. Comments: Raley's Union Square is ideally located to capture the North Manteca trade area plus the community of Lathrop. Raley's is a proven performer and major draw to the shopping center. The site is accessible from both Highway 99 and Highway 5 on Lathrop Road. The Home Depot Center is ideally situated adjacent Highway 70 with over 43,300 cars that pass by on a daily basis. Full Description: The Home Depot Center is ideally situated adjacent Highway 70 with over 43,300 cars that pass by on a daily basis. In addition the center is in close proximity to the Butte County offices which employs over 2,300 people. Store Specifications: ALTA Topo & Boundary Survey; Geo-technical Study; Phase 1 Site Assessment; Grading, Paving, Landscaping & Utilities Construction Drawings are all the studies that have been completed and available to buyer. Comments: This property is fully entitled for a 10,100 square foot building. 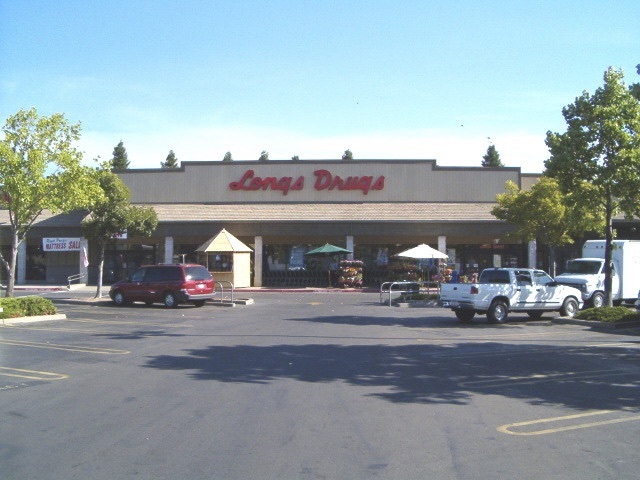 Longs is located on the busiest intersection in Orland. Full Description: This site consist of a free standing Longs Drug Store. There is a planned 8,000 square foot retail center next door. Comments: Orland is a bedroom community to Chico with strong residential growth due to the high cost of housing in Chico. Orland has a trade area population of over 20,000. 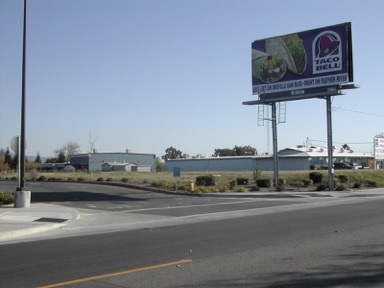 This site is adjacent to I-5 and on SR 32 which is the major arterial from I-5 to Chico and Black Butte Lake. This lake is located 8 miles to the west and attracts over 150,000 visitors a year. 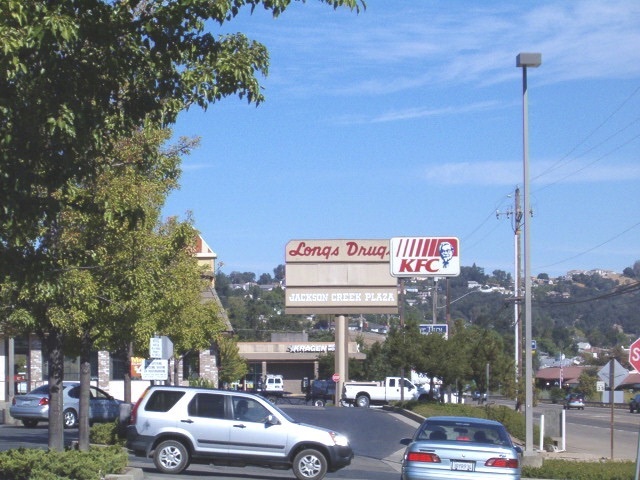 Longs is located on the busiest intersection in Orland. 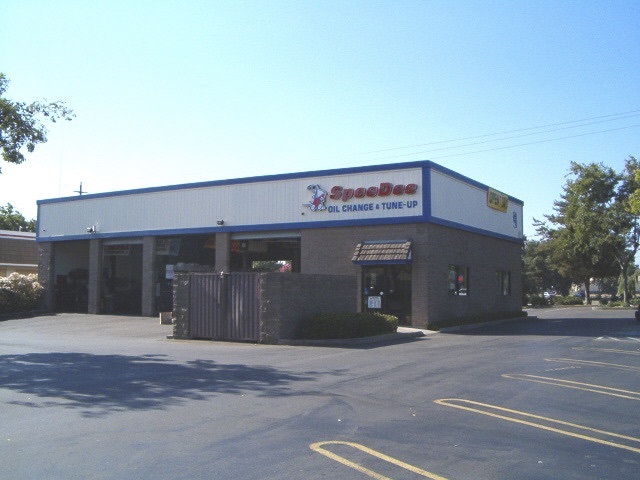 The north Redding trade area provides you with access to an established and mature customer base with over 90,000 people within 5 miles. Full Description: North Point Plaza is a 197,000 square foot Neighborhood Shopping Center anchored by a 65,000 square foot Raley's Market, 110,000 square foot Shopko and 21,816 square feet of retail shops. Other pad users that are within the center include O'Reilly Auto Parts, Carl's Jr, Arby's and Chevron. Store Specifications: Interior improvements include heating, air conditioning, acoustical tile ceiling with lighting, fixturized restroom, concrete slab floor, finished unpainted walls, electrical outlets, glass store front and doors. Retail shop space is sixty (60). feet deep. Comments: The north Redding trade area provides you with access to an established and mature customer base with over 90,000 people within 5 miles. The daytime population is in excess of 47,000. Customers use N. Market St. as a major north and south thoroughfare. In addition to providing access to Shasta Lake, Lake Blvd. connects the communities to the east and west. Traffic at the intersection averages over 79,000 cars daily, the second highest count in Redding. The constant daily automobile and foot traffic at both Raley’s and Shopko insures that thousands of potential customers will see your business every day. Existing tenants include; H&H Laundry, Papa Murphy’s, Air One Cellular/Mail Biz, Check into Cash, A-Z Nails, Subway and Precision Hair Cuts. Superior visibility from Clark Road. Comments: Superior visibility from Clark Road. Parcel 5 will support a building area not to exceed 6,400 s.f. Parcel 6 will support a building area not to exceed 4,200 s.f. On/off site work, utility stubs, and leach field existing.